Home // Readers Klub // ‘The Mortal Instruments’ to be rebooted as TV series !! 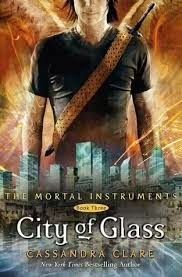 ‘The Mortal Instruments’ to be rebooted as TV series !! “We are thrilled to give this epic tale of good versus evil a brand new dimension,” Constantin Film Chairman Martin Moszkowicz said in a press statement, thanking fans of the franchise for their patience. The one-hour drama will reboot the saga after last year’s feature film “The Mortal Instruments: City of Bones” opened in cinemas . The film has earned $31 million domestically. A planned sequel, “The Mortal Instruments: City of Ashes,” was shelved last year, and it’s unclear whether “City of Bones” stars Lily Collins and Jamie Campbell Bower will reprise their roles in the spinoff series. 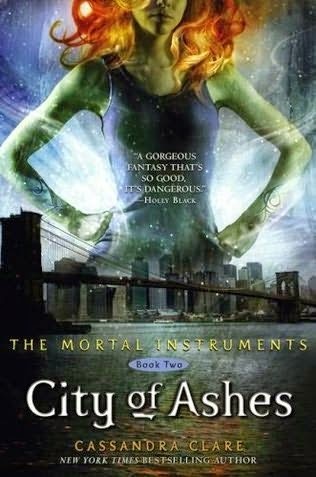 “The Mortal Instruments” follows heroine Clary Fray as she becomes entangled in the world of Shadowhunters — angelic demon-hunters — after her mother is attacked and taken by a demon. In order to save her mother, she must team up with a band of Shadowhunters, including the captivating Jace Wayland, uncover family secrets, and tap into powers she never knew she had. The sixth and presumably final book in Clare’s series, “City of Heavenly Fire,” was published in early 2014.
and bloggers made good content as you probably did, the web can be a lot more useful than ever before. own download stress on creativity and the violence. Hello, Neat post. There is an issue together with your website in web explorer, may test this… IE still is the market chief and a large section of people will miss your great writing because of this problem. this web site; this website includes remarkable and in fact fine data in favor of readers. isn’t complicated, it can get done in fewer than 5 several hours. You’ll spend approximately 90% less (yes, that’s NINETY PERCENT LESS. One flat queen sheet works well if you wish to have no seams down the center. whether the cover charge will include housekeeping services. Think of nature like animal designs or palm leaves. papers, or even a sander. Above the old bathtub, you will take out a column of tiles. Yes! Finally something about tub refinishing Buffalo NY. Hello to every , as I am truly keen of reading this webpage’s post to be updated daily. those who wish they could live in Tony Bennett’s ‘City by the Bay. the new finish and will be glaring at you, each and every time you look at the tub. this website includes awesome and truly good information designed for visitors. virus and accumulating music collections. In a bathroom, you can determine a particular theme by taking note of the colors inside. is some useful information, which will be helpful for you in this regard. Hi there friends, pleasant article and nice urging commented at this place, I am actually enjoying by these. game development, since it is now not a hard nut to crack. then check out our guide to pirate apps on i – Tunes. Youre not the common webpage critic, man. You unquestionably have something controlling to add up to the web. Your design is so well-built that you might nearly grow away with being a awful author, but youre even awesome at expressing what you have to utter. This kind of a enormous webpage. I will be back for more. on moving it out but the new tub may not as easily fit into the limited door space. cultured marble, metals and plastics. some unique thoughts on this subject. Seriously.. many thanks for starting this up. If some one wants expert view regarding blogging after that i advise him/her to visit this website, Keep up the good job. well as defined out the entire thing with no need side-effects , people can take a signal. you have acquired right here, really like what you are stating and the way wherein you say it. a great author. I will make sure to bookmark your blog and definitely will come back later on. 8SgErl Thanks for another wonderful post. Where else could anyone get that kind of information in such a perfect way of writing? I’ve a presentation next week, and I’m on the look for such info.